There is an exponential growth of diabetic patients worldwide year after year. Type II Diabetes has become a global epidemic. 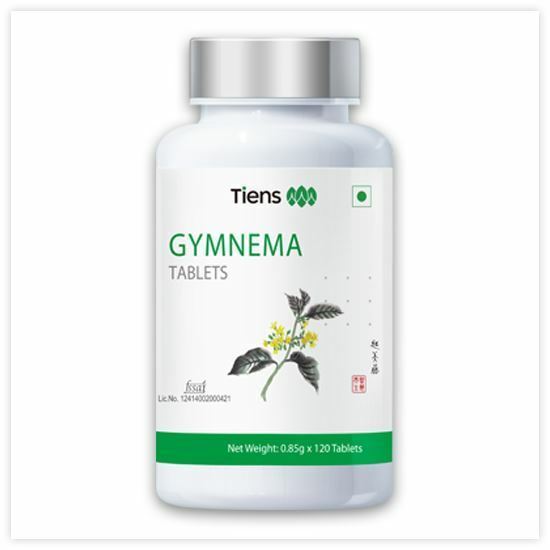 Tiens Gymnema Tablets contains active ingredients from the plant Gymnema sylvestre with natural ant-diabetic ingredients- gymnemic acid, chromium picolinate, etc. The Latin name Gymnema Sylvestre means "sugar destroyer" and is considered as herbal aid to combat high blood sugar. It aids in managing blood sugar level within the required range. • Helps diabetes people in reducing sweet craving. • Promotes regeneration of beta cells. • Increases insulin production by pancreas. • Lowering serum cholesterol and triglycerides. • Reduces intake of insulin or oral compounds on long term usage of these tablets. •Prevents development of diabetes related health problems.